This week has been awesome. First off, I have an awesome story for you. This morning we went to the temple and after our session we went to eat breakfast in the Temple cafeteria (which tastes SO good after weeks of processed MTC food). While in the cafeteria, we started talking to some people to see how they were doing and try to brighten their day. So we meet this lady in the cafeteria who had hosted an exchange student from Busan, South Korea (that’s where Orme 자매님 (Sister Orme) went for her mission this week!). She told us that she had taken this girl around temple square and a bunch of other sites and she just loved it. All she had ever known was Buddhism, so being introduced to Christianity was really exciting for her. She even asked the lady why there weren’t more missionaries from our church in Korea because she loved it. It was great! So we got the name of this lady and the name of this Korean girl, and she promised she would send us more of her contact information so missionaries in Korea could invite her and her family to learn more about the Gospel. It was amazing! We got a referral for the missionaries in Korea even though we’re still in the Provo MTC. How wonderful is that! I’m coming to learn that there aren’t coincidences in missionary work. The people I’ve met here are put into my life for a reason. I’m really thankful I opened my mouth and talked to this lady in the temple cafeteria. Now we can pray for her and her Korean friend. Woo-hoo! I love praying for people! In other news, a couple of the older groups from our branch (including Orme 자매님) left for Korea this last Monday. I am seriously so excited to go to Korea. I’m not very good at Korean, but I am pretty good at being happy and sharing my love of the gospel with others. The group of Korean natives were giving everyone Korean names and mine was 기쁨. Hopefully I spelled that right. It translates to JOY in English. Yahh! My district always jokes with me because if you pronounce God wrong, too, you could easily say, “Hippo.” So one could say a prayer that starts off, “Father Hippo, please bless the ducks!” That would be great. Oh man, learning a new language is fun. I really do love it. I hope you all are doing well. Stay safe! Have fun! Do good! I love these Korean sisters so much! We got a batch of Native Koreans this week & they are so fun! And I can understand a little of what they’re saying! Hoo-rah! Here’s me & Sis. Lee. She’s going to Seoul Nam too and I love her. She’s always talking to everyone about the Gospel. It’s inspiring. All the sisters in our branch. Jeffery R. Holland and his son came this week to speak to us this week. It was amazing! Jeffrey R. Holland’s son speaks just as good as his father does. He talked about the life of Joseph Smith and it was so powerful. He told us stories about Joseph Smith’s life that I had never heard before, and he expounded on the stories I already had heard. The Spirit was strong. I had a really great experience teaching this week (which was nice, considering last week’s dwerp fest haha). We taught a native from Korea who was a member, and as soon as I met him, I just felt the Spirit so strongly telling me what message to share with him. So me and my companions all share something that we hadn’t planned, but it went great. When it was time to go we asked him to say the closing prayer and he started to choke up and we could tell that he was so grateful for what we had taught him. It was incredible. As we left, he grabbed our hands and told us to remember this time when we taught by the Spirit. It was the best experience on my mission so far. It felt so good! 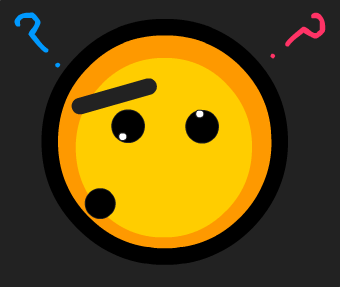 I knew my language skills were really bad and I said a lot of things wrong, but it felt like what I wanted to say was just leaping out of me…so I just opened my mouth and went for it. I learned from this whole experience that it’s not the language that teaches, it’s the Spirit. Ever since teaching that man, I’ve been less stressed and feeling more successful with the language because I know now that the Spirit can testify to others even when I’m not sure exactly how to in Korean. I love the Gospel of Jesus Christ SO MUCH. It brings so much peace and happiness and I wish everyone understood the full measure of how much it could bless their lives. It’s crazy that I’ve already been out a month. I’m also at the half way point in the MTC to Korea. Hooray! Sister Orme is leaving to Korea in 4 days, so she’s been cleaning out her stuff and she found these awesome gems…so naturally we dressed up as Super Sister missionaries in them and took a bunch of pictures! Yeah, we’re cool. This week we celebrated one of my companion’s 21st birthday. 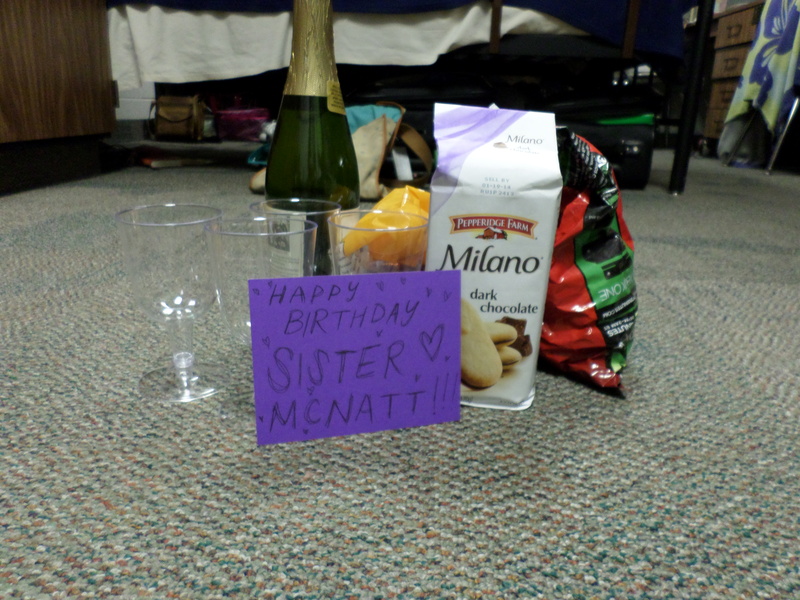 Her parents sent us some bubblyz (sparkly cider), so we drank it up like we were sister missionaries celebrating a birthday at the MTC! Whoop whoop (cause we are)! Fun fact: Because of the way they count age in Korea, I’m also 21!!! Which is so awesome! Being 21 rocks! We got a group of Native Koreans here. 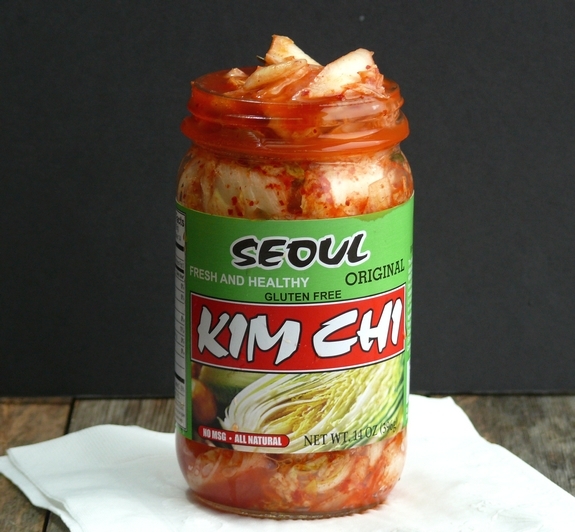 Somebody’s mom (not one of the Koreans) sent them Kimchi, so they gave it to the Koreans and they loved it SO MUCH! I have never seen someone love a food that much. It was pretty funny. They idolize it. I’m actually really excited for the food in Korea. 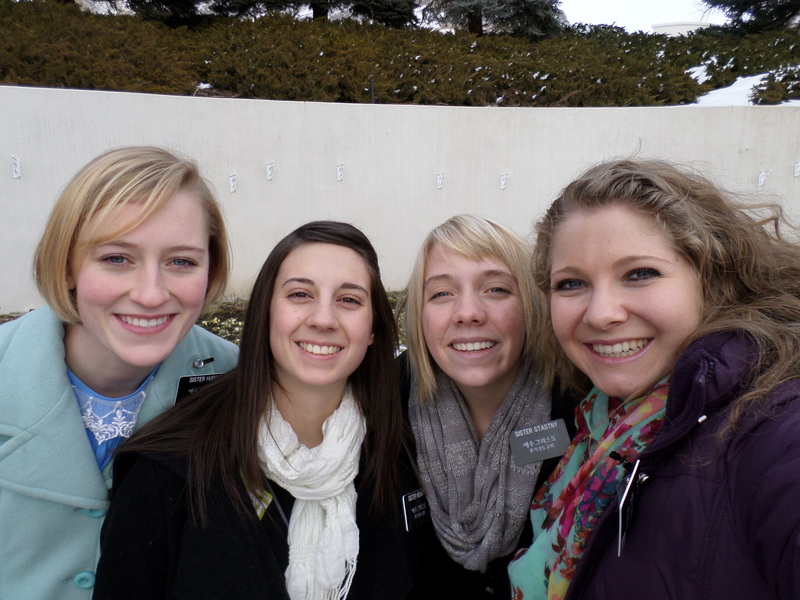 The MTC is really great. They feed you ice cream at lunch and you can have cookies and root beer for every meal if you want—but you shouldn’t, you really shouldn’t! Ha ha! Besides the food, you get to hear really cool speakers. It’s like you get a personal General Conference every week. It’s awesome! A mission is a lot of work though. Even here, we put in 16-hour days and every hour you’re working, studying, AND feeling the Spirit. I’m not going to tell you it’s easy, but I am going to tell you that NOTHING is more rewarding and worth it than being a servant of the Lord. The MTC choir director makes me love choir. He makes it his goal to teach and expound upon all the doctrines in the song so we’re not just teaching, we’re testifying. I respect that a lot. I have a pretty funny story to share. Once a week we have TRC (Training Resource Center) where volunteers who are fluent in Korean come in and we share an uplifting message with them about Christ. This week our volunteer was a returned missionary from Korea and I couldn’t understand him at all. He was using a lot of grammar forms and conjugations that we hadn’t learned yet, so I was dead blank. We asked him a question and he started answering and I didn’t know what Korean he was speaking…So I just smiled and nodded. I must have been doing a pretty good job because he turned to me and said something and then he stopped. So I said, “Dashi?” Again? And he said the same thing 3 more times. I just kept staring at him. Then he started pointing towards me and touching his head. It turns out he was asking me, “Can you understand?”, but I couldn’t understand what he was saying–he was mumbling and kept shifting in his chair. Anyway, I thought since he kept pointing toward me and touching his head he was complimenting my face or something (because obvi…just kidding), but I dwerped out, “GAMSAHDEURIMNIDA!” Which not only means “Thank you,” but is the highest form of “thank you” which you ONLY use when talking to Kings or praying to God. I knew it was the wrong answer as soon as I said it, but everyone thought it was pretty funny. The best part of this story though, which I found out later, is that one of my companions used to date this volunteer. That’s why he was so uncomfortable. Bahahaha! It was great. That comforts me. I hope I can be the missionary that Heavenly Father wants me to be. I love the support that you continually send my way. All of it means a lot, even if I don’t have that much time to write you back about it. Thanks! This week has been fantastic! I felt strongly and surely that the Lord was strengthening me because of the prayers of others. I can’t explain it, but I know it’s true. I’m not sure who has been praying for me, but I know that God does answer prayers and I am extremely thankful for it. I’ve been able to grasp language concepts faster, retain vocab words, and feel good everyday this week. Thank you. The first thing I should tell you is that I’ve inherited a new companion. She’s a solo sister in a group that got here a little before we did, and I get to be her companion outside of class. She’s adorable. I’m pretty stoked to say that I have 3 other companions, too. I want to know if that’s a record. Haha. Did I tell you that Sister Hurst’s parents are in the MTC too? They were called to New Delhi, India, but their visas got rejected, so they’re waiting to be re-assigned. We see them all the time. I’ve adopted them as my MTC parents because they always brings us treats and Korean snacks from the outside world! Senior missionaries are treated like royalty here. They are pretty great. I love them. My companions and I met an Elder from Beijing, China! That’s amazing because the Church isn’t allowed to proselyte in mainland China. It was humbling talking to him because he has sacrificed SO MUCH for this church and to serve a mission. It’s amazing. He knows that this gospel is true. It makes him happy and he wants everyone to feel that happiness. Talking to him was great. It strengthened me. Even though the schedule is rigorous, the language is hard, and the food sometimes is cold, I love that I am here. I love being a missionary. I love Jesus Christ and the strength I feel from being His disciple. It’s amazing! Sis. Lyman (our sister training leader) & me in laundry room! There isn’t much to do in there. Sis. Hurst & I taking selfies again in our classroom while waiting for a companion. Haha; there’s a trend starting here. Thank you so much for your letters and “Dear Elder” letters. They make my day every time I get one! This week we had a group of native Koreans come to the MTC. They are honestly the cutest human beings on the planet. One of the sisters is from New Zealand and is pretty good at English. One night I went to talk to her after a rough day of studying Korean all day, but not making much progress. She told me a story about how the missionaries that converted her Father were terrible at Korean. One missionary had been out a while, but had the worse pronunciation, and the other missionary was fairly new and didn’t know any Korean. She said that even though her father didn’t understand what the missionaries were saying, he felt the Spirit so strongly that he knew their message was true, and was baptized into the Church of Jesus Christ of Latter-day Saints. Our leaders are constantly reminding us that our purpose is not to speak Korean; our purpose is to invite others to Christ. Korean is just a tool to do that. I’m trying to remember that so I don’t get discouraged when I’m having trouble with the language. In other news, Janice Kapp Perry came and spoke at Relief Society on Sunday. She wrote A Child’s Prayer, I Love to See the Temple, Love is Spoken Here, I’m trying to be like Jesus, and tons more wonderful songs. A Child’s Prayer is my favorite, so it was amazing to meet the woman who wrote it. I love music. My companions and I joined the MTC Choir so we can get out of our classroom for a little while. It is honestly one of the best decisions we have made yet. The Choir director is brilliant. He’s always cracking jokes and expounding on the doctrines in the songs. It makes the music way more powerful. My district is fun. My companions and I are the only sisters in the group so sometimes the Elders are crazy, but it’s funny. This week, during study time we were listening to LDS Radio and You Raise Me Up by Josh Groban came on. All the elders started singing and flapping their arms. It was bizarre, but hilarious. This week during personal study I read in the Bible Dictionary about Prayer, Fear, and Isaiah. I highly suggest that you read those sections if you haven’t because it’s AMMAZZINGG! The section on prayer is especially powerful. The Purposes of God, as they ever have been and ever shall be, are infinitely superior to the deepest designs of men of devils. I’m sorry this is kind of short and that there are no pictures (I forgot my camera). I just want you all to know that you are consistently in my prayers and I love you all! Send me “Dear Elder” letters so I feel special!